We create sustainable and consistent profits through cooperation between multiple farms, minimising the risks of arable farming. Our ethos is to farm land as if it is our own. We will rent your land and farm it, offering you a fixed price within Cheshire, Shropshire and North Wales. If you are a farmer or landowner without modern machinery and or labour then a stubble-to-stubble contract faming agreement may be for you. 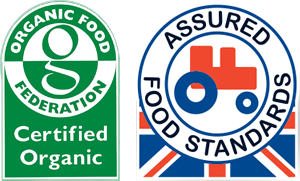 We have an organic certificate and our store is trade assured. We can offer storage, cleaning and drying facilities for farmers and landowners. Welcome to Fieldfare Farmers, a contract farming business based in Whitchurch, Shropshire. At Fieldfare Farmers we pride ourselves on being innovative in addressing the challenges of modern agriculture. We work with Farmers and landowners across Cheshire, Shropshire and North Wales, helping them to explore opportunities to grow their business. This includes whole farm contracts, stubble to stubble, and block cropping. We share our expertise and use the most up to date technology to ensure that the farmers we work with get the best solution for their requirements. We streamline business operations, create and help to create consistent profits and aid in long term sustainability. We offer bespoke packages tailored to the needs of each farmer – this is vital in the volatile world of arable farming. Whether it is contract farming, block cropping or stubble to stubble agreements we have the equipment and expertise to help you. We have helped landowners to improve soil conditions, yields and profitability whilst reducing risk and we can do the same for you.